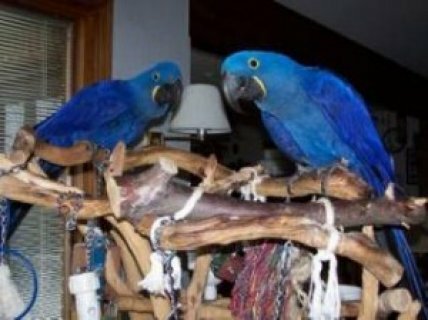 We have well tamed Hyacinth Macaw for sale. Wonderful bird. Loves to be outside the cage. Hand tamed and does not pick/pluck feathers. NOT a screamer, only talker.